The first part of this tutorial introduced the basic features of the FlexGrid. 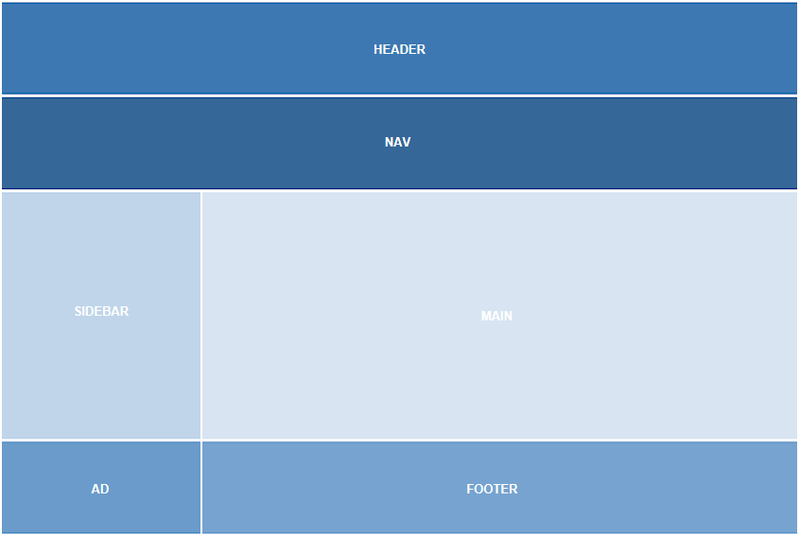 This second part describes how to create a responsive layout from scratch. The layout will have a three-column layout for the desktop view, two columns for tablets (768px) and one column for phones (480px). Many websites are a variation of this type of layout, with content, sidebars, a header and a footer. 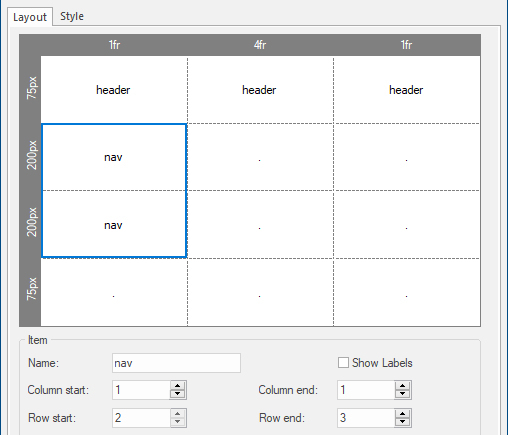 Open the properties of the flexgrid and set Columns to 3 and Rows to 4. 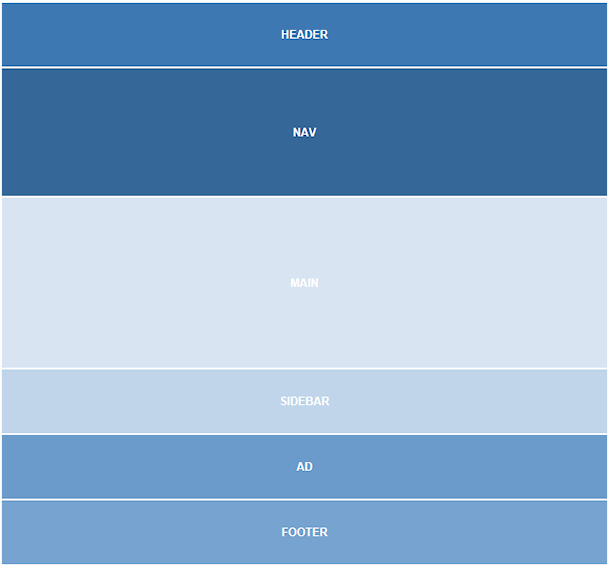 By adding a breakpoint, we can define a different layout for the same Flex Grid. Basically we can define a complete new layout, but of course we want to reuse the same objects from the desktop view so we should use the same names! All other properties can be different. For example, the layout can have a different number of rows/columns or the navigation can now be at the top instead of at the left side. Add a 768px breakpoint to the page. 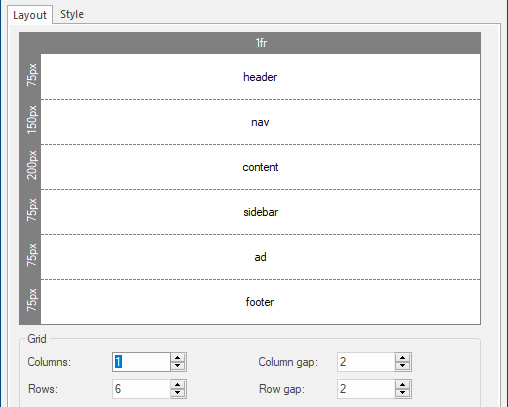 Click the column headers to set the width of the columns to 1fr, 4fr and 1fr. The layout now has two 1fr unit side columns and a middle column that has 4fr as the size. This means that the available space in the flexgrid is split into 6 and assigned in proportion to the 3 columns - one part each to the side columns and 4 parts to the center. 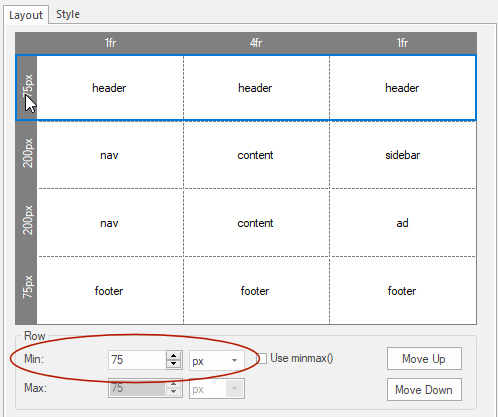 In this layout, the rows have fixed sizes: 75px, 200px, 200px and 75px. 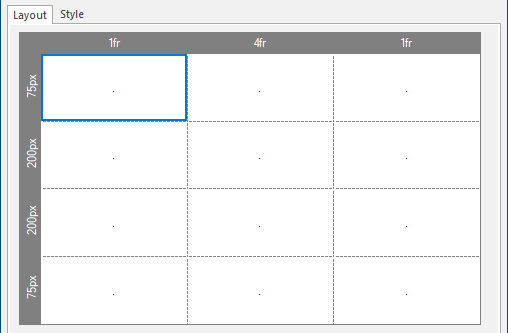 You can also set the value to 'auto', in which case the height will be determined by the content inside the grid item. After setting the columns and rows, we can configure the grid areas (items). The quickest way to start a new layout is probably by clearing all existing items first. 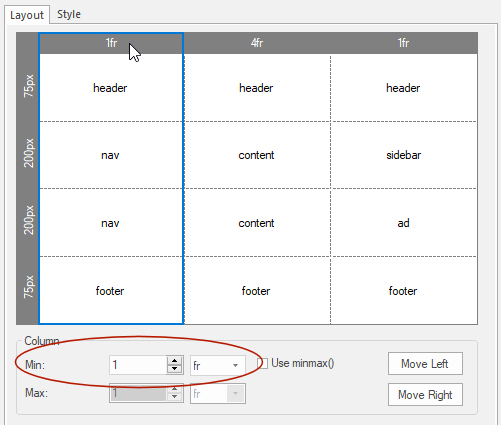 To do this select 'clear grid' in the 'Example' drop down menu. Note that the 'dots' indicate that the items are empty. Empty items cannot have any content. 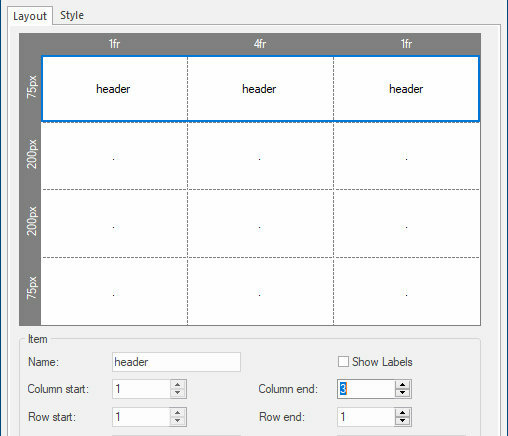 The header in this layout uses the entire first row, so set Column end to 3. Note: To make the individual areas more clear, the background color of each item has been set to a different shade of blue. 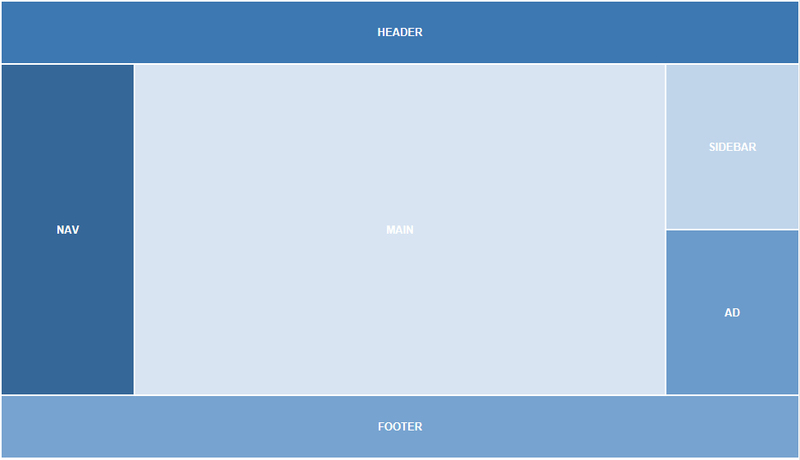 By adding another breakpoint, we can define a layout for even smaller screens. For example, for mobile phones. In this case we stack all items on top of each other. Add a 480px breakpoint to the page.